(Editors note: "Swoop" is a slang term coined recently, some say derogatory, for newer comedians in the Chicago scene). Happy Swooptober everyone. That magical time of year when college comes back into session and all over the north side of Chicago, young folk with sparkles in their eyes and a hot tinder bit in their notebook wake up bright-eyed and bushy-tailed at noon, counting the minutes until the open mic they're hitting tonight. Their friends told them they're funny; their co-workers insist they're "even funnier than Kevin Hart" around the water cooler. This is their dream, and they're chasing it, dammit! They shelled out the money and took that Second City class and it's time to spread those wings and fly, Icarus, fly! Hope springs eternal for many new comedians. Fitting, that a group of people notorious for depression would find such hope during the season which serves as such a metaphor for entropy and the withering of vitality. 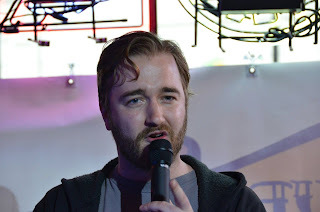 Every night, at open mics all over Chicago, fledgling comedy careers begin in bars, cafe's, and anywhere else one can find a mic, speakers, and somebody willing to listen. This is where it starts. 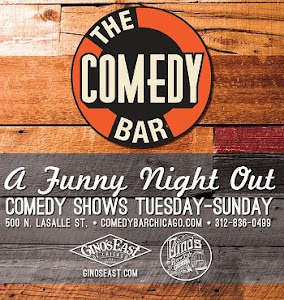 This is where the people that make Chicago America's funniest city hone their craft. 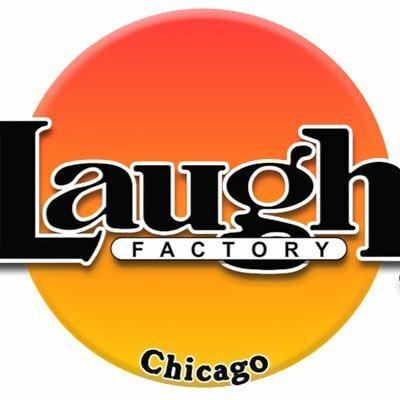 Because of the plethora of stage time, Chicago is America's comedy dojo. Nowhere else is such a large, cosmopolitan market; while at the same time safely tucked away from the entertainment industry so as not to fear failing in front of anyone "important." For so many of us, Open mic time is paramount to our development. To keep the teeth sharp, so to speak. late, that the thing that makes Chicago such a great place to learn (stage time) is harder to come by, since one has to apparently get to a place an hour and a half before sign up to get in the first 25 spots. 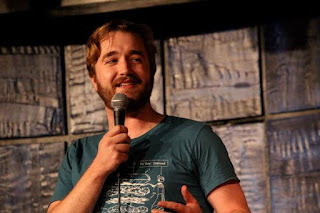 Someone doing comedy in Chicago for years will arrive 45 minutes early, only to find 25 people they've never seen before milling about, with apparently no job or anything else to do that day than go to that open mic. I won't mince words: Of these brand new comics, I would wager that not even 10% could look you in the eye and tell you they are serious about it as an occupation or lifestyle. They don't see it as something they have a visceral need to do, with a point of view that even THEY feel is important to be heard. It's something fun to do that allows them to meet interesting people and get some attention. And that's great! 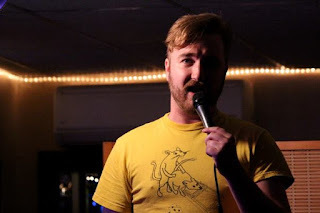 Comedy is a fun way to add to one's social life and broaden one's horizons, and I honestly think everyone alive should do one open mic in their lives. Some of us need this. This isn't for fun, this isn't to settle a bet, this isn't to get laid. OK, it's kind of to get laid. But still, this is serious for some of us. This isn't just a vacation from an office job that we don't really mind that much. Walking into an open mic with a sea of people who are simply not that serious about it is like you were about to die of thirst and somebody is drinking the last bottle of water because they have a little case of drymouth. To join the Shaolin Temple, one goes to the gate and requests to be brought in to be a monk. Invariably, the monk that opens the door looks them up and down, tells them they don't have what it takes, and shuts the door. What happens next is very important. The person seeking to become a monk can either leave and go back to whatever life from which they came, or they can wait outside the gate for an indeterminate amount of time, periodically being yelled at by the other monks to leave. Only after what can sometimes be days of this, do the doors open and the initiate is accepted into the temple to become a monk. Open mic hosts: Mind the door of the temple. 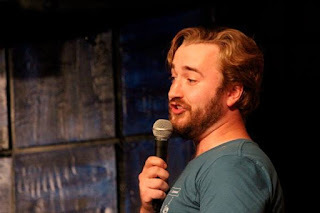 There are people who have produced shows, run mics, created comedy in this city for years that are finding it harder and harder to get stage time while people fresh out of their first stand up class are number 5 on your sign-up sheet. It takes character to deal with the harsh realities of trying to make comedy a career. Harsh crowds, shady promoters, even just writer's block. Building character and patience is just as important as developing material and finding your voice onstage. Sticking with this thing is no easy task. I've heard it said, and I completely agree, "If you CAN quit comedy, you should." I've noticed a trend of mics going to random draws. I understand that impulse. A lot of new comics are coming way ahead of time and shutting out veterans that frankly need the stage time more; so you want to give them a chance at a better spot. I have a better idea: just start bumping. Throw extra reserve spots on the list, bump in a veteran with another mic to hit ahead of a swoop telling the same jokes as last week. And if the newbie gets mad, tell them "welcome to the game, kid. Stick with it like the one that's going up ahead of you, and you'll be the one getting bumped ahead before you know it." Open mic hosting is a thankless task. It rarely ever pays, you have to sit through some AWFUL sets in front of an often silent audience, and you have to act happy to be there. The least you can do for yourself is assert some control over your room. If there's been a few stinker sets, bump up somebody you know is good and needs to get to another mic sooner than later. Comics, if you're trying to string together a couple mics, reach out to hosts earlier in the day and see if you can get an earlier spot. The talent level in this city is amazing, but that only matters if you nurture it. It's on you, open mic hosts. Be the list gods that you are and together we can help people who are serious about doing comedy keep getting better. And younger comics, getting through being a nobody who gets bumped and ignored makes you better in this game and keeps you motivated to get better. Or, it makes you pack up and quit. Either way, it's better for you, trust me. Bob is a Chicago comedian and producer you can catch performing all over town.